Chelsea Larsen focuses her practice on automotive and product liability cases. 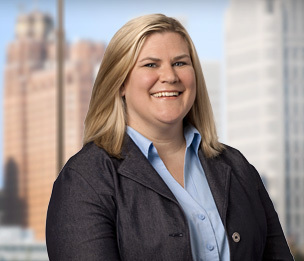 Prior to joining Dykema, she worked with the GM Legal Staff in a variety of roles related to litigation. After receiving a minor in Japanese, Ms. Larsen served an internship at an international hotel in Japan.